﻿ Formed back in 2014, American quartet Ten Cents Short debuted their first taste of personalised pop-punk in 2015 in the form of EP All I Ever Wanted. Now the group are back with their sophomore endeavour Major Steps, Minor Setbacks, a five-track EP with plenty of punch. Higher Powers is a track that would’ve made an ideal opener to the record, with the incredibly calming, melodic guitars to start which then builds into a full-blown burst of passionate, punk infused extravagance. The track also incorporates echoing vocal hooks and somewhat stripped back break that splits up the song nicely, embodying blink-182 vibes. Alas, Higher Powers takes the secondary slot on the repertoire, with the vibrant Draw The Line taking the main introductory spot. This song embraces some very sharp and striking instrumental components that serve as an insight into the real sound and ambience the group wish to portray with this new release. Halfway through the EP, we hear the debut single Beggars which was released back in April. The group got the chance to work with Four Year Strong’s very own Alan Day, who co-wrote and produced the track. There is an obvious connection to Four Year Strong with this track as the chorus rings suggestions to FYS tracks Go Down In History or We All Float Down Here. It is easily a stand-out track because of this; with a diverse influence on the group’s regular vibes. There are plenty of classic pop-punk elements in the EP. Relentless drums and irresistible guitars is what makes Setback so catchy and easy to listen to. With the odd “whoa” chant and fast paced melodies, the track is the epitome of the likes of New Found Glory and The Wonder Years. The EP is packed with high energy tracks that won’t fail to get listeners hooked from the get go. As far as mature pop-punk goes, this is a very determined and well-defined addition. There’s plenty to get excited over, with so many pleasing tracks that are primed and ready for the stage. It will definitely grow on you over time, and you’ll find yourself pressing repeat numerous times. 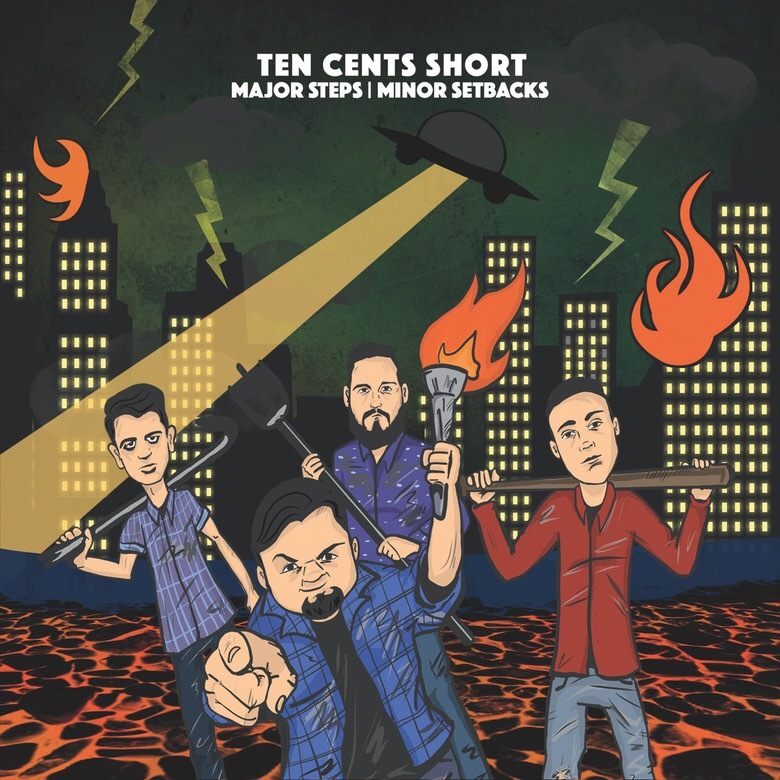 ‘Major Steps, Minor Setbacks’ by Ten Cents Short is released on 26th May.